International Women's Day is a time to recognize the accomplishments and importance of every woman around the world. TikTok's global community supports these women in being their authentic, creative selves, and as a way to show our support we launched the hashtag #SheDidThat. TikTok users around the world were celebrating International Women's Day in their own way with #SheDidThat. With videos focusing on self-love, personal accomplishments, and amazing feats of athleticism, they showed that there's nothing "she" can't do. 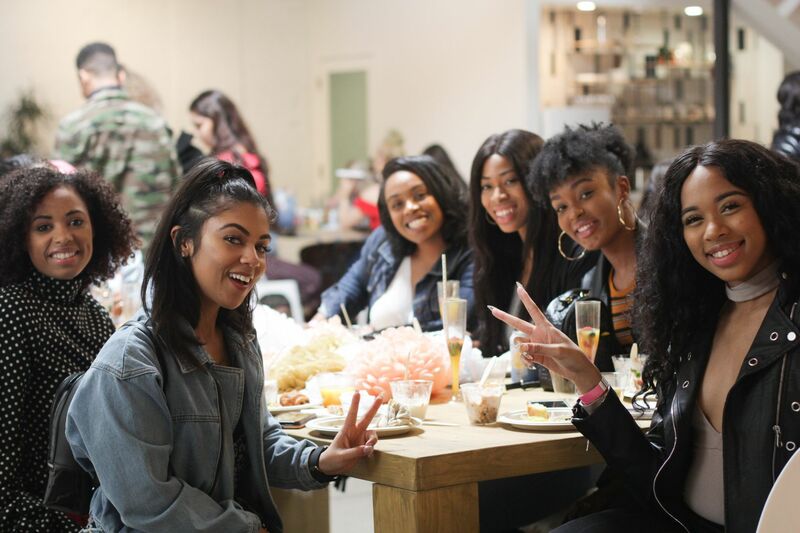 We also invited a few of our favorite female LA creators to the first annual TikTok #SheDidThat International Women's Day Brunch as a celebration of girl power! This group showed off their individuality and empowerment. The event was filled with creative activities that promoted positivity and acceptance. Some of our favorites were the calligraphy station, where guests thought of positive affirmations for themselves and professional calligraphy artists wrote them down as a permanent reminder, a frame painting station, where they could flex their own artistic muscles and customize each frame to match their sparkling personalities (though, it didn't always work out), and the stereotype shatter, where women took turns hitting a piñata that was covered in negative stereotypes. After the activities, our creators stood in front of the group and shared more personal stories about themselves. Using the prompt "What makes you YOU?" the women took a moment to explain the struggles and accomplishments that made up their journey so far. These included business goals, personal achievements, and overcoming modern stereotypes that all women face. The group supported each other and bonded over similar challenges they've experienced. It was a brunch full of positivity, support, new friends and maybe even long lost twins.